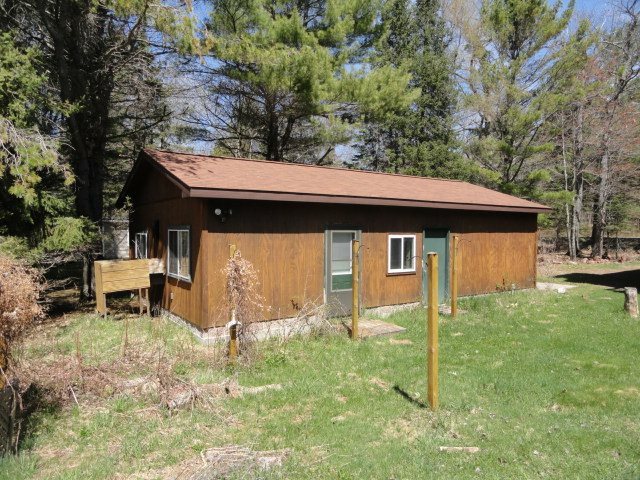 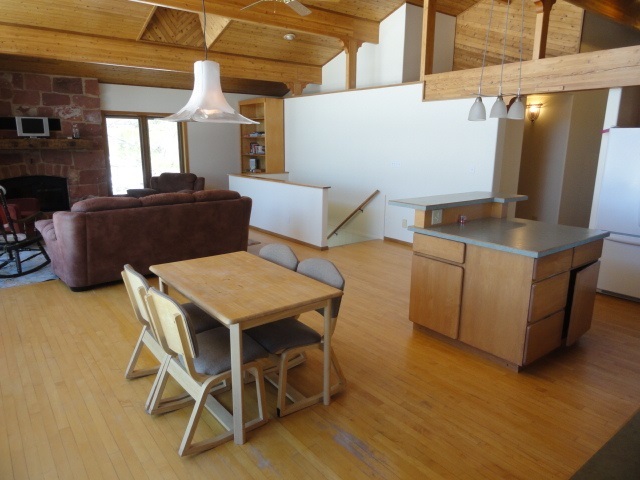 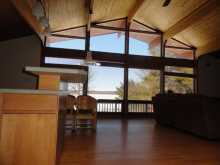 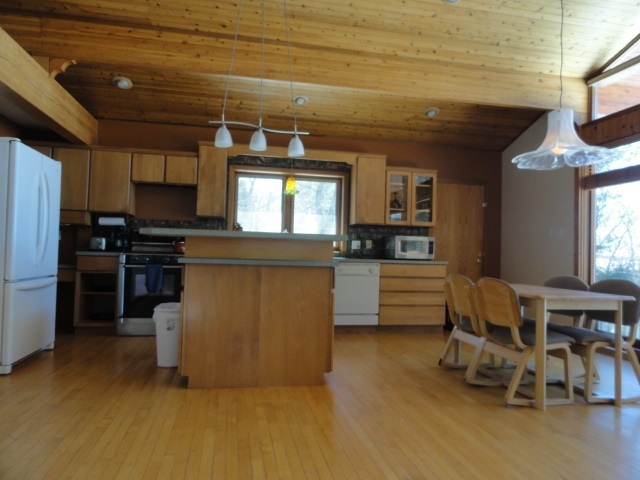 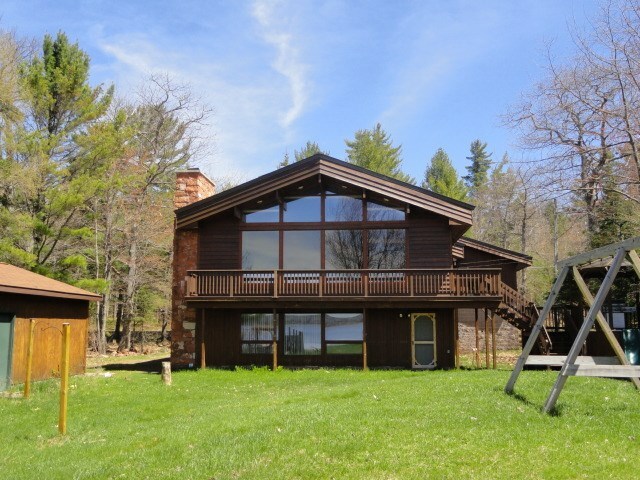 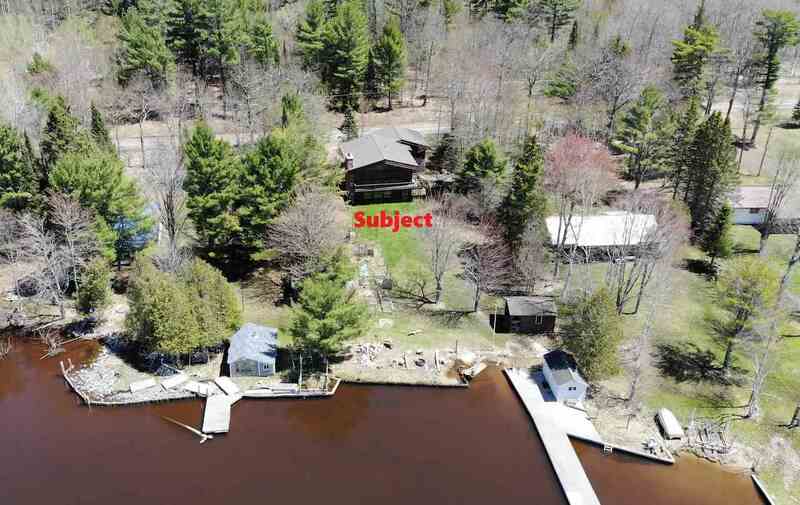 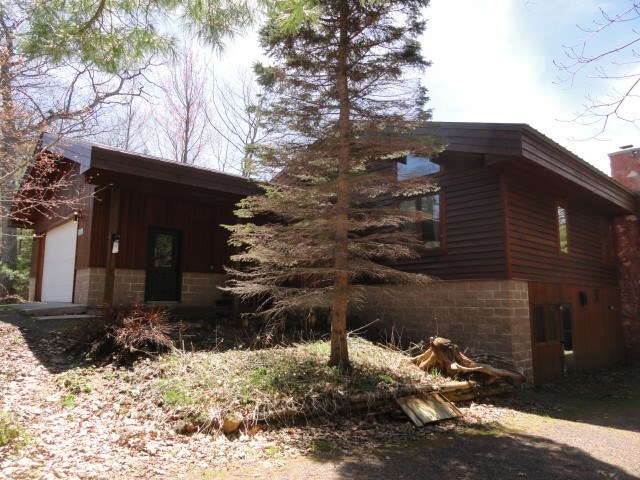 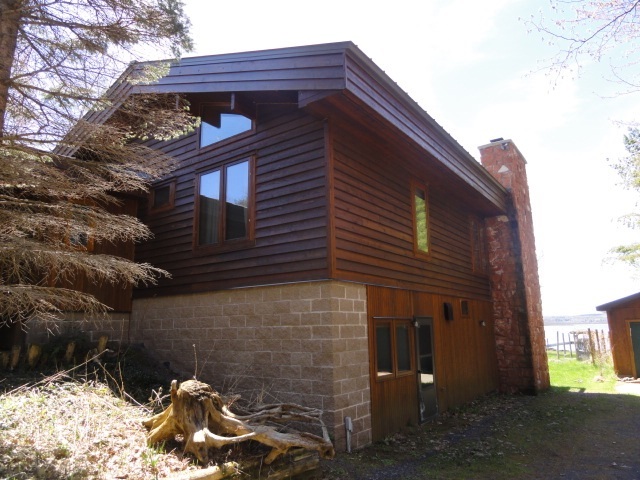 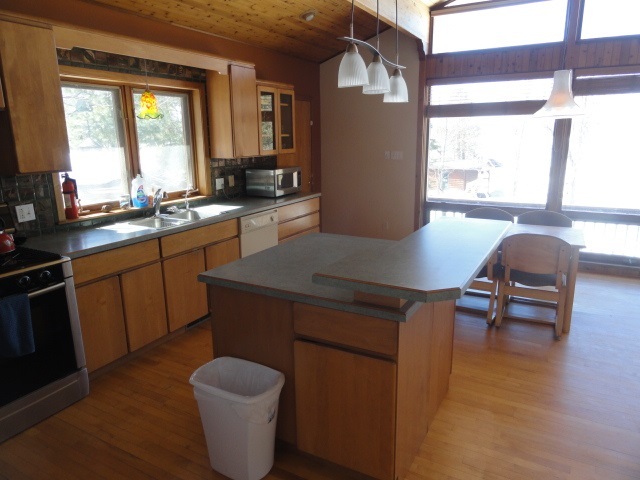 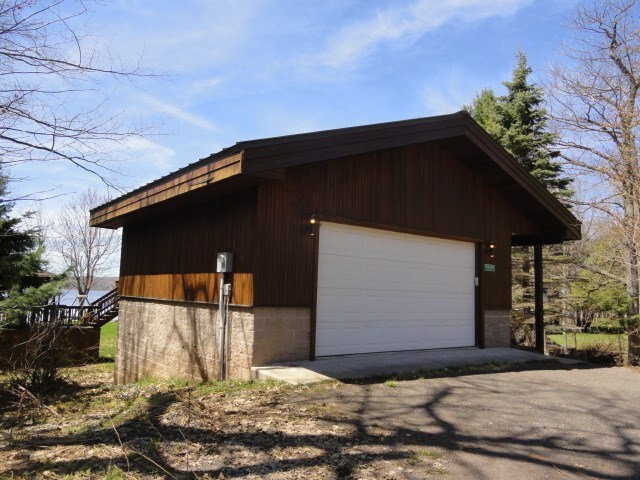 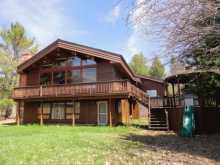 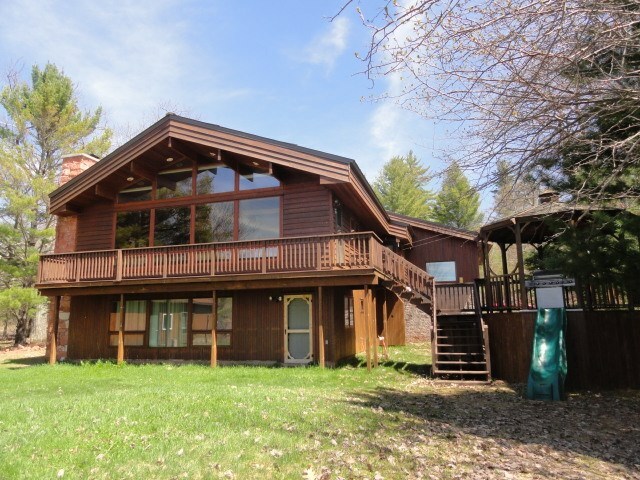 Beautiful 4BR 2BA Cedar home with two car attached garage nestled on 100 feet of sand frontage on Portage Lake in Torch Lake Township! 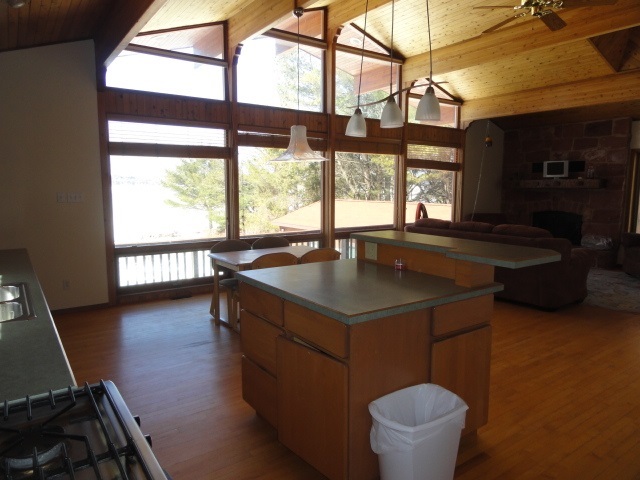 This home features a large open kitchen/dining/living area with a spectacular view from the wall of windows overlooking the lake and yard! 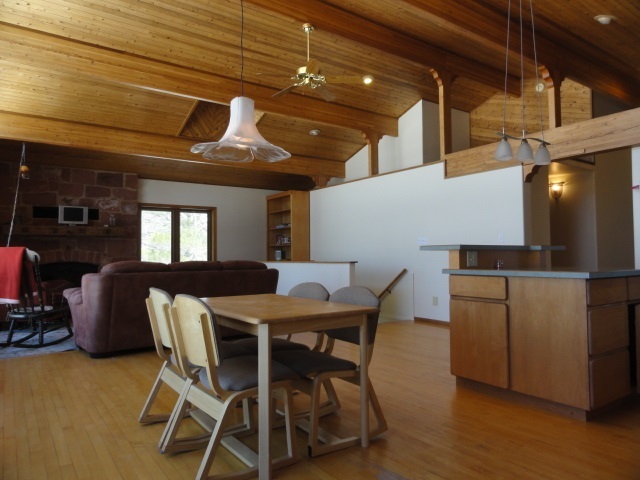 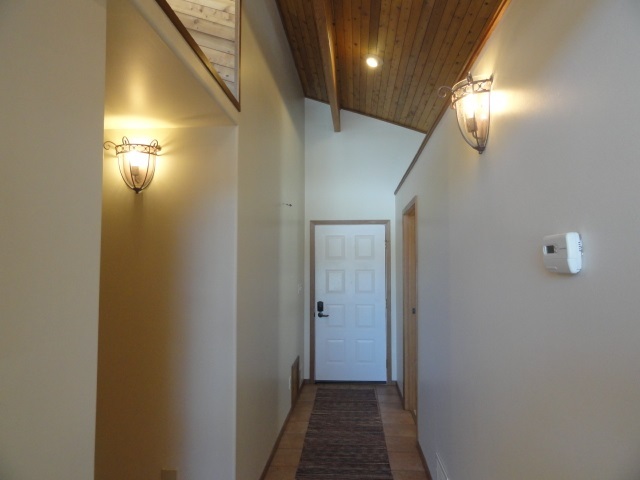 Vaulted Western Red Cedar ceilings with Spruce beams make it feel even more spacious and attractive! . 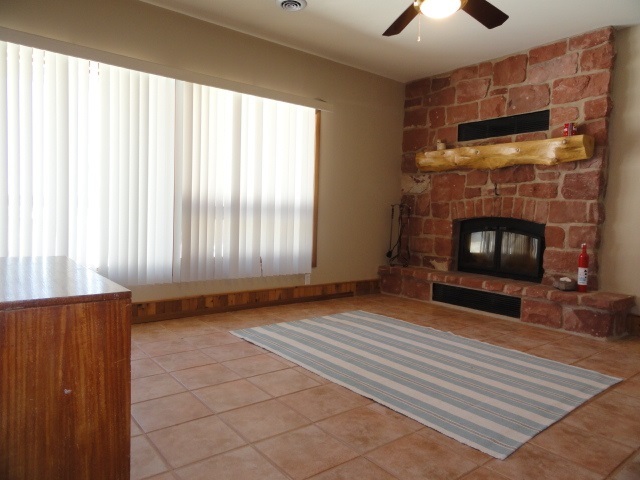 Enjoy the warmth of the large sandstone fireplace with a unique U.P. 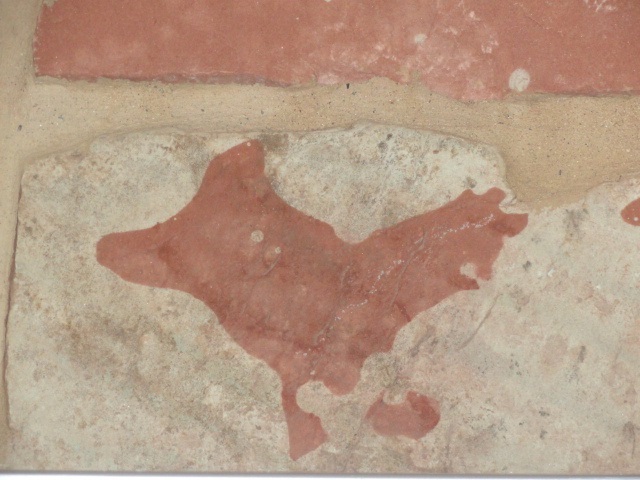 symbol in one of the center stones and the mantle is a hand finished reclaimed barn beam from the southern U.P. Floors consist of hardwood and quarry tile. 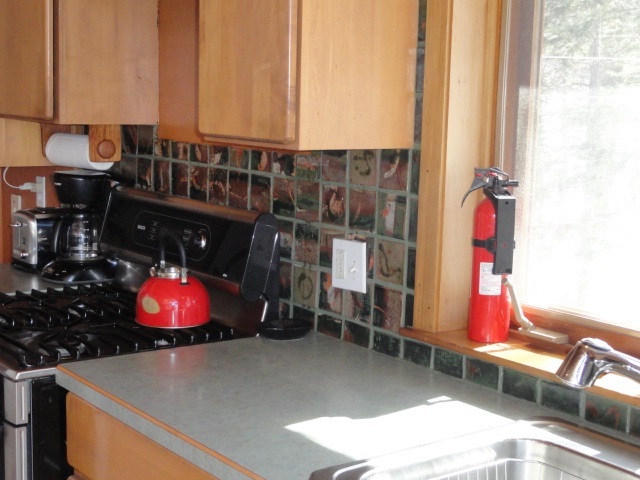 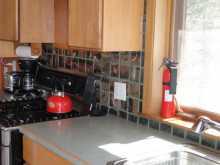 There are maple cabinets, an extra sink in the pantry and the back splash tiles were handmade in the kitchen. 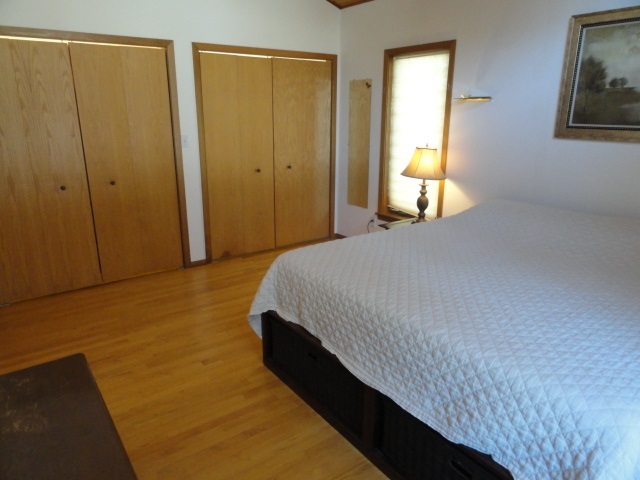 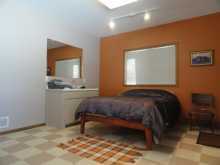 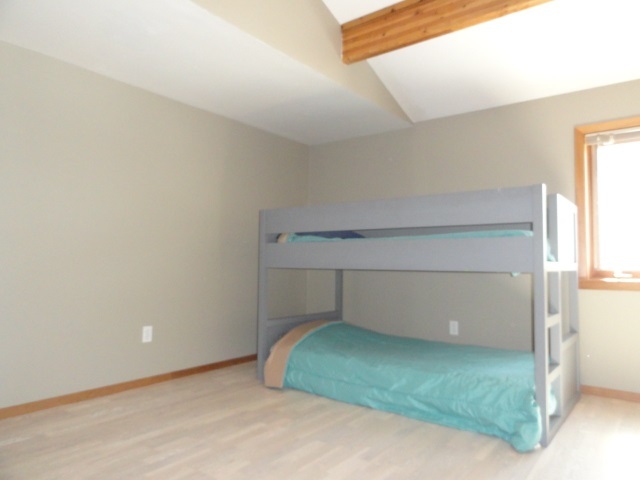 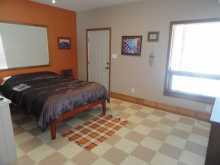 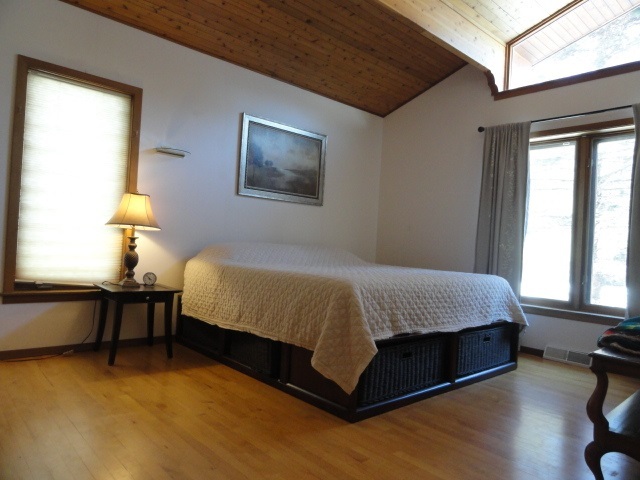 There are two bedrooms on the main level with the master suite offering his and hers closets. 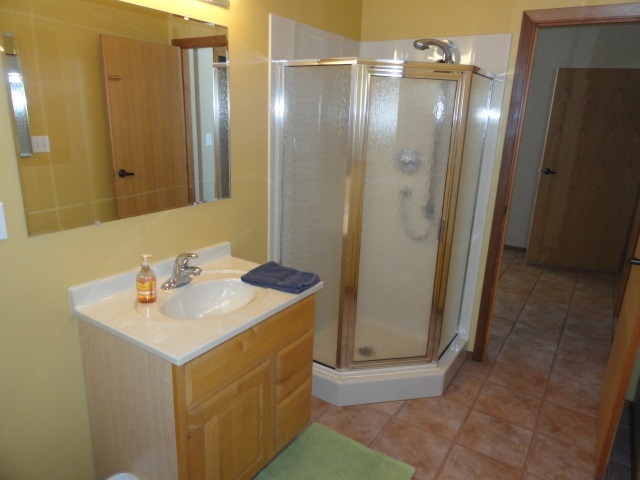 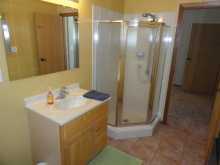 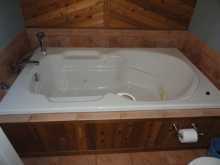 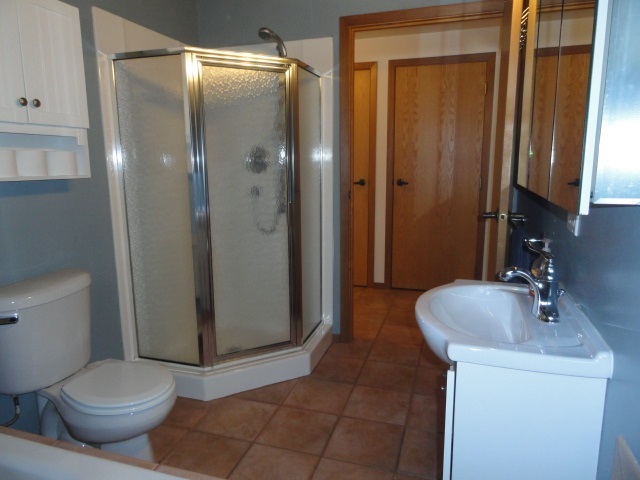 The large full bath comes with a nice jacuzzi tub. 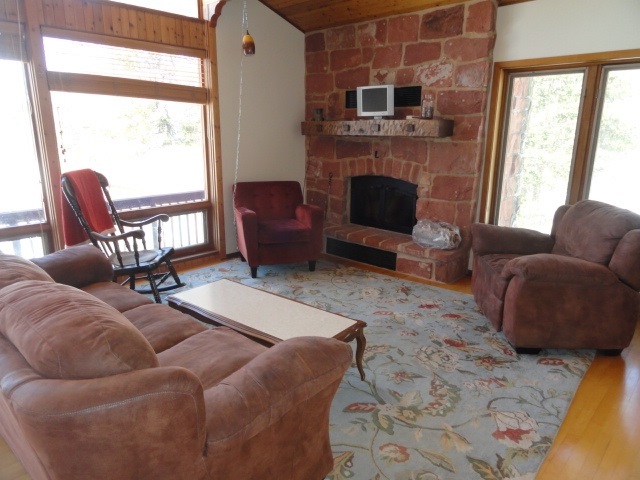 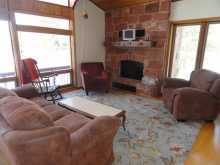 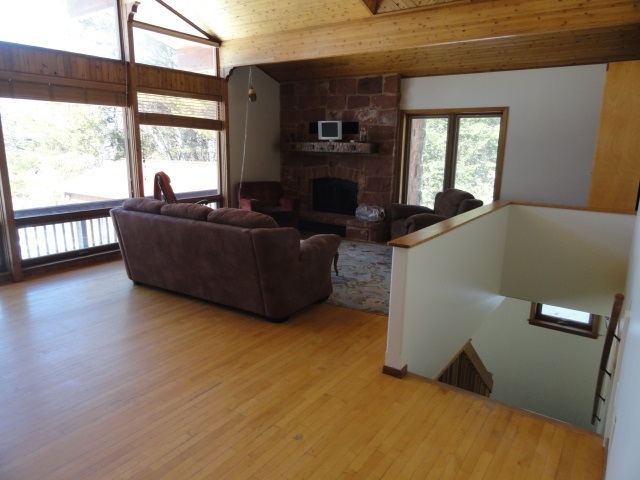 On the lower level you will love the family room that also offers a cozy large sandstone fireplace and the mantle is a hand finished whole tree construction. 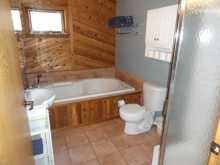 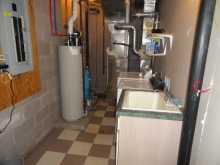 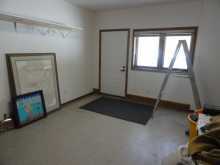 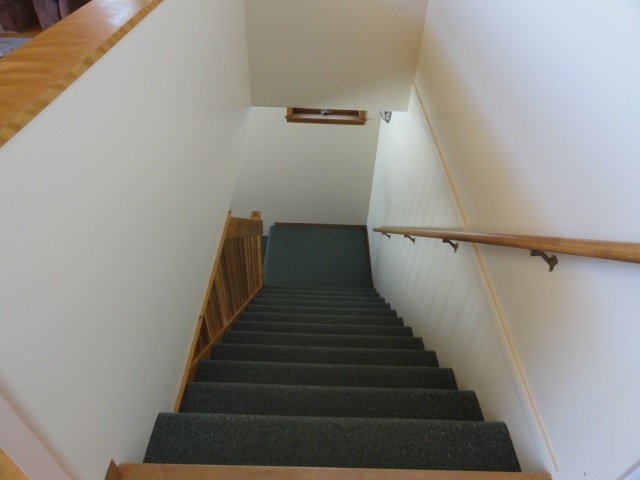 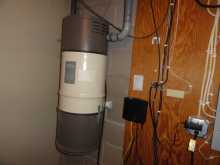 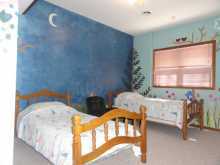 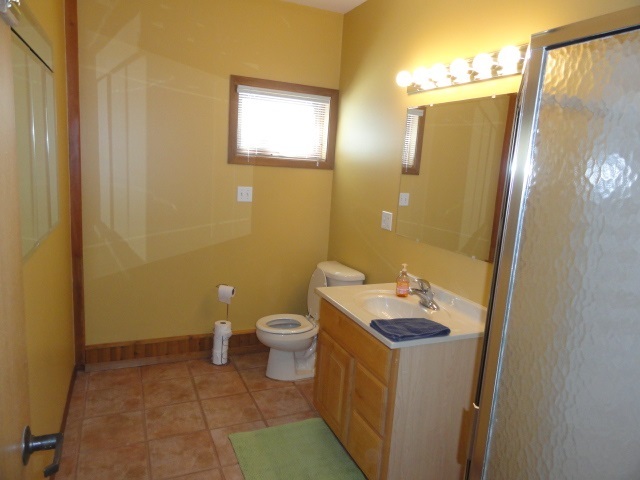 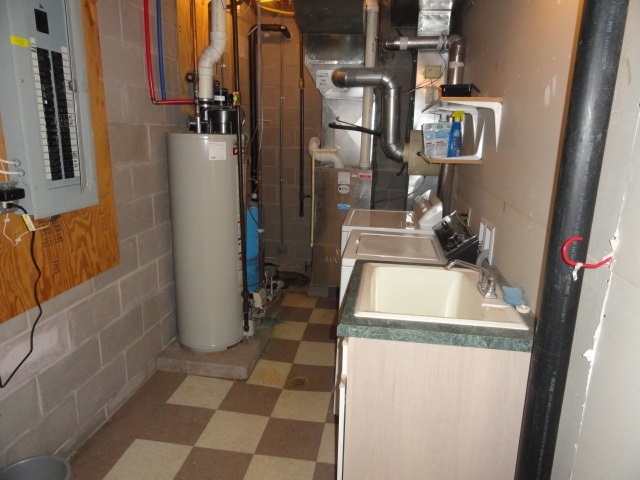 There are two downstairs bedrooms, full bath, storage room and utility room. 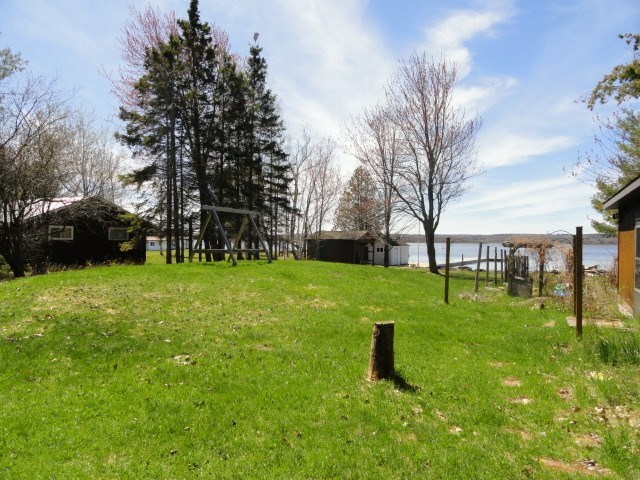 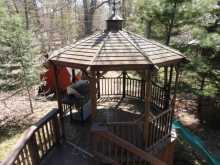 Outside, the deck leads to a sweet gazebo perfect for entertaining guests or those family BBQ's. 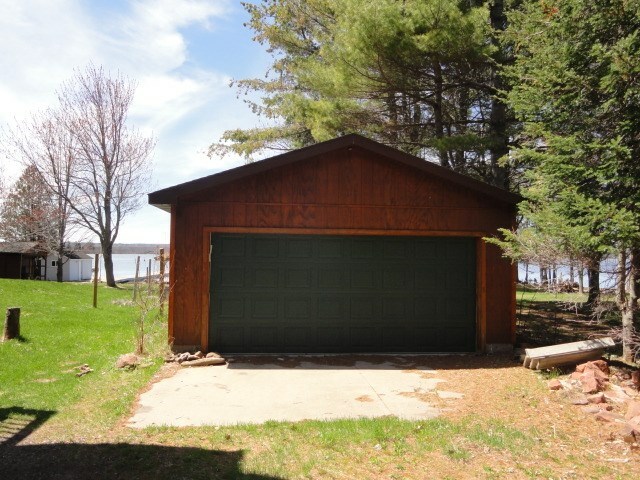 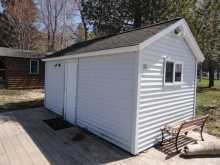 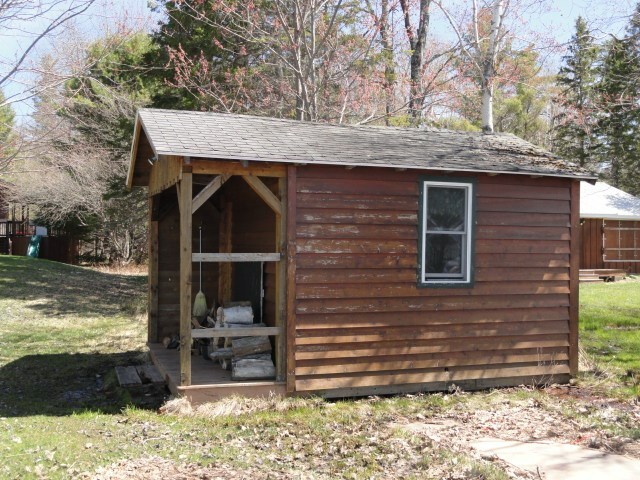 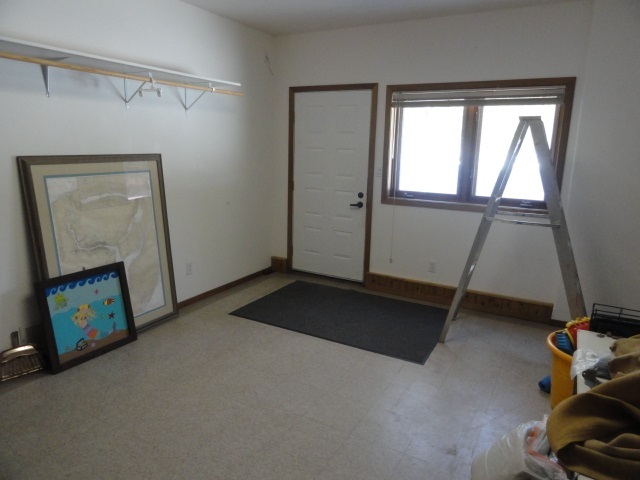 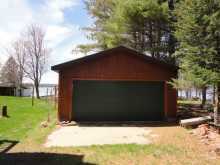 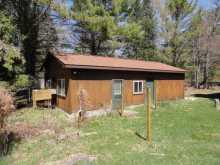 There is an additional 20x36 detached garage with a 20x14 storage/workshop area inside. 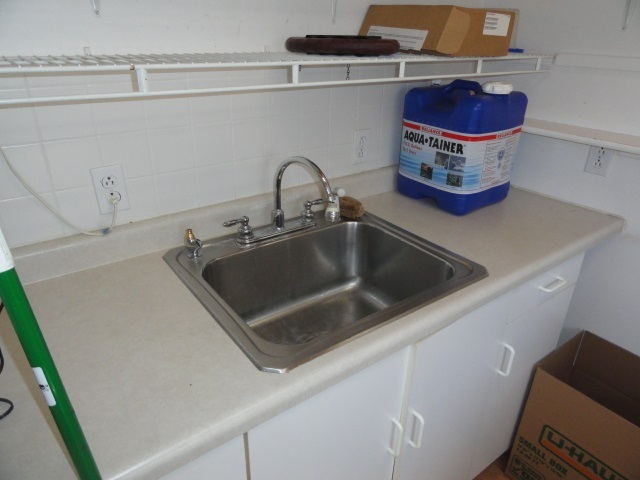 The summer kitchen was used for storage but could easily be used as a kitchen again. 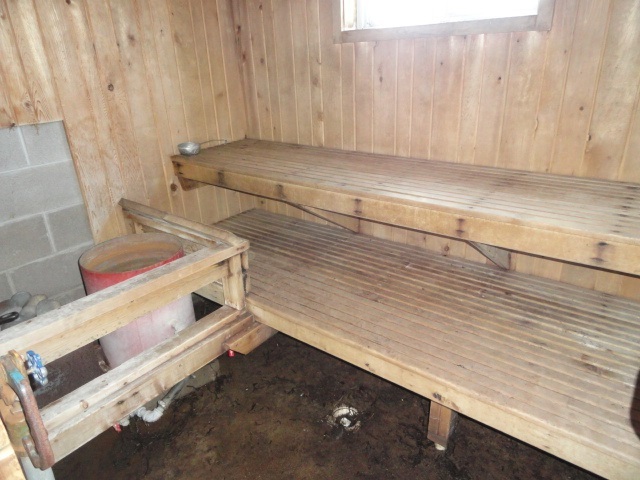 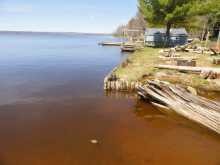 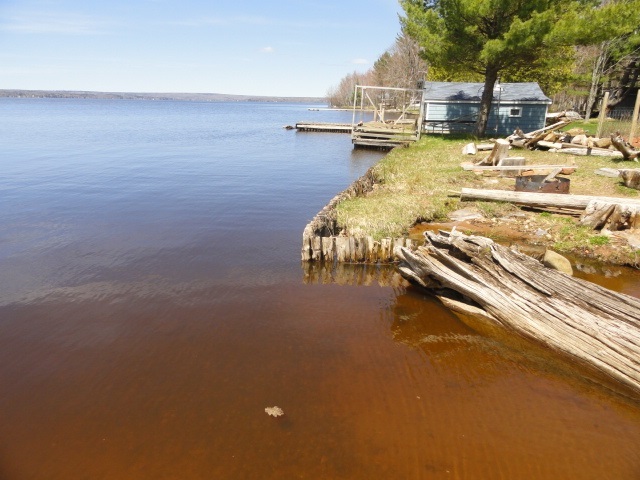 What a better way to relax then taking a nice hot sauna located right on the lake. 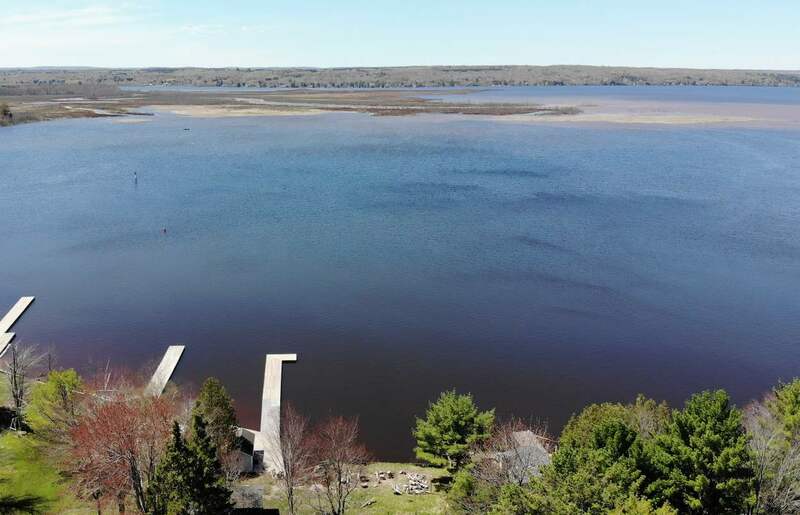 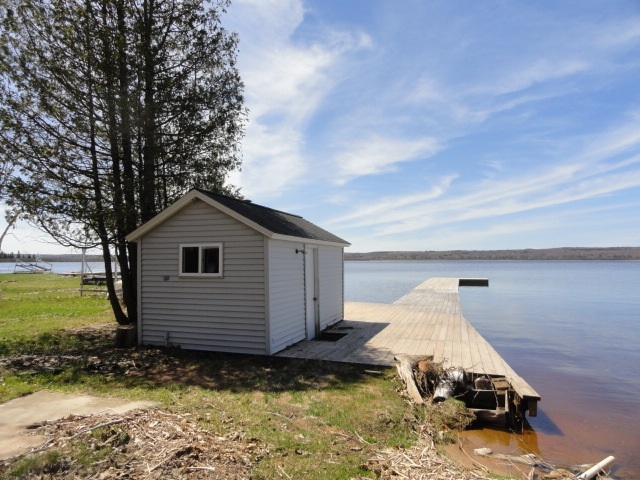 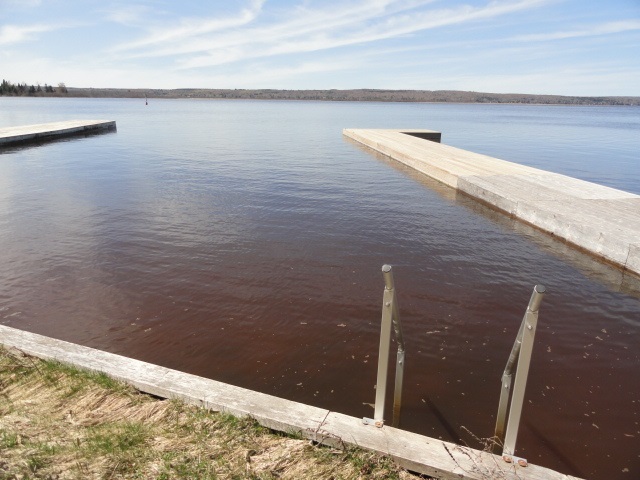 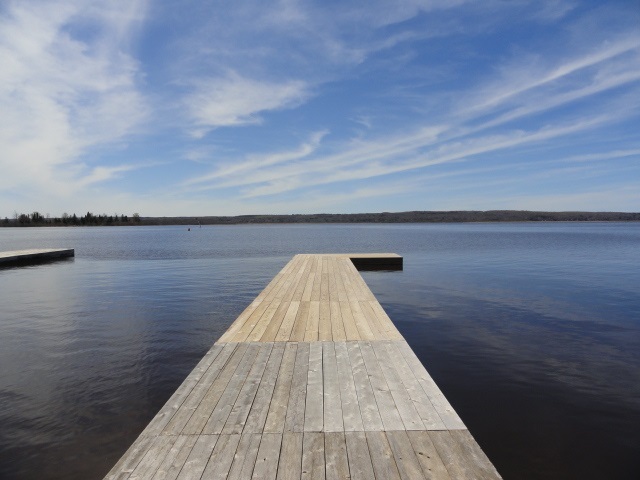 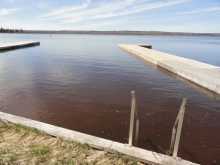 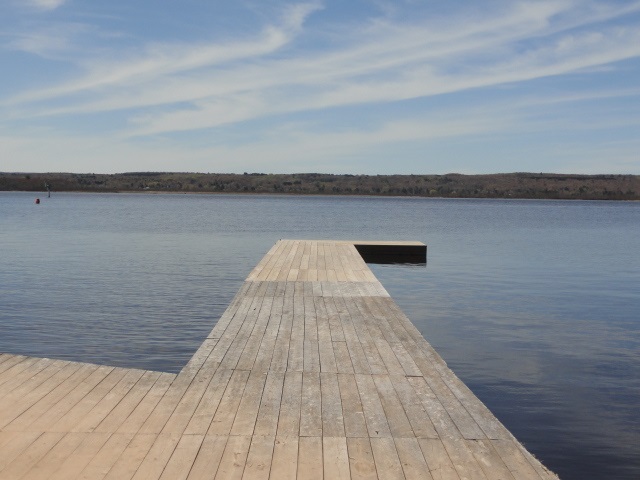 The new permanent dock is perfect for parking your watercraft or dropping in a line and catching your evening dinner! New vented metal roof in 2014 and does not require shoveling. 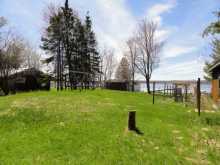 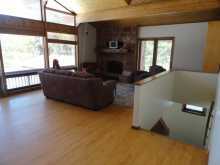 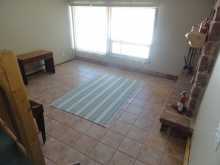 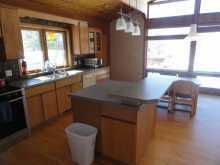 This awesome property offers everything you could want and more! Call for an appointment today!